GRRAS is a well-known Linux training institute and an authorized Linux training partner of Red Hat. We offer Red Hat certified RHCE, RHCVA and RHCSS courses, which are required to get expertise over Linux server. GRRAS Linux institute conducts RHCE, RHCVA and RHCSS examinations (Certification) also at its center in Jaipur, Nagpur, Pune, Delhi. For Training in Red hat Certifications one should always choose authorized Red Hat Partners that offer top-notch faculty, world-class infrastructure, excellent placement support and strong industry interface. 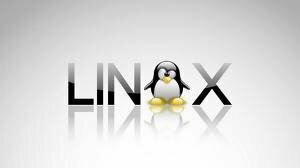 GRRAS Linux Training Institute is an award-winning Red hat training facility that successfully combines all these prerequisites. The Awards and Recognitions GRRAS has received from Red hat for offering quality training in Red hat Linux Certifications gives a great boost to our commitment to excel.